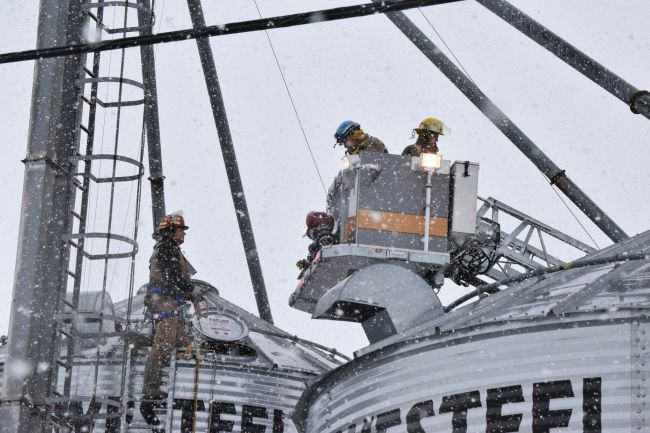 Larry Kinsman, the deputy chief of the Great Village and District Fire Brigade, said a couple of firefighters were able to climb up the grain elevator at Balamore Farm Ltd. and get a rope down to the 20-year-old man. 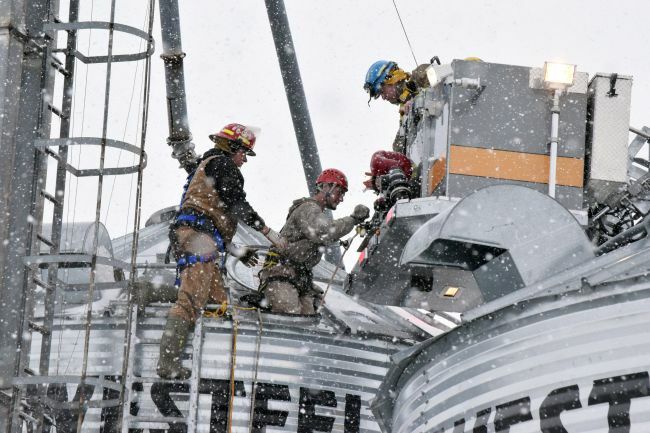 The deputy chief said the man, who is an employee at the farm, was able to get his phone out before the corn covered his waist and phoned for help. 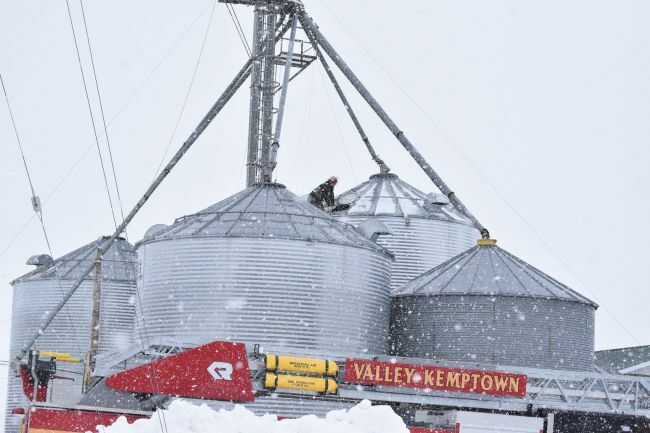 According to a press release from the Colchester RCMP, the employee called a co-worker, who turned off the auger immediately. 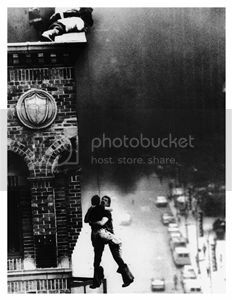 When they were unable to free the man, they phoned for assistance from emergency personnel. Knowing Cobequid District Fire had special training and equipment, as did the Special Hazards Response Unit, Kinsman said they wasted no time in calling in mutual aid. Firefighters from Valley-Kemptown responded with the department’s aerial truck, and assisted in bringing the man down to paramedics shortly after 2:30 p.m. He was assessed on scene before being transported to the Colchester East Hants Health Centre for further treatment of what’s believed to be non-life threatening injuries. The Nova Scotia Department of Labour has been contacted about the workplace accident.